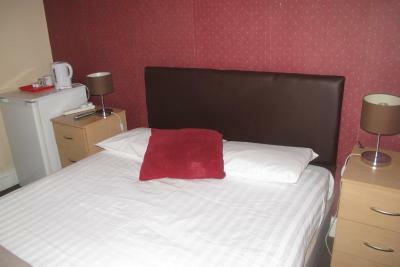 Ideal for overnight stay , very good value and hospitable staff . 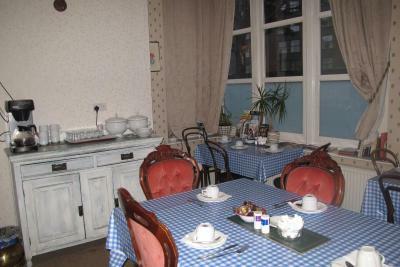 rooms were comfy and tidy , everything worked and there was tea and coffee facilities. Location. 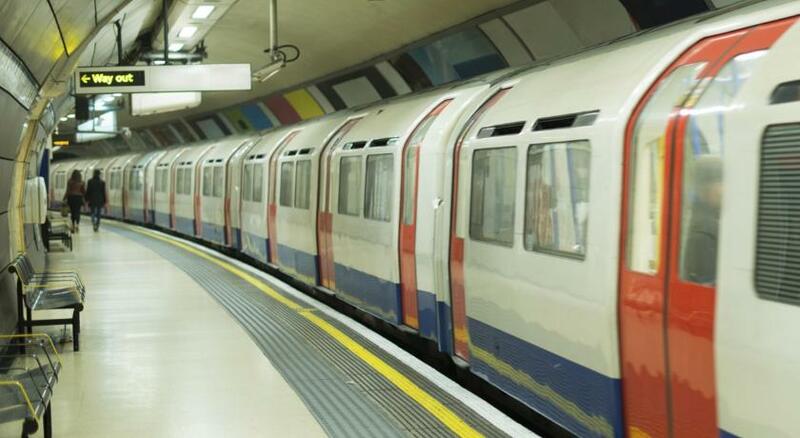 It was near "Ealing common station" which was in the same line to London center. The neighborhood was really quiet and had many of places to eat and take away food. 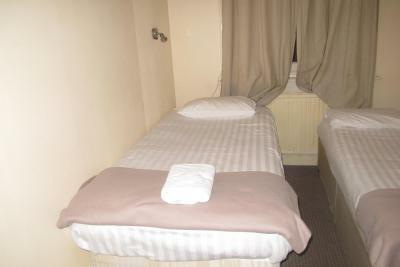 The bed linen is clean and the room includes toilet. 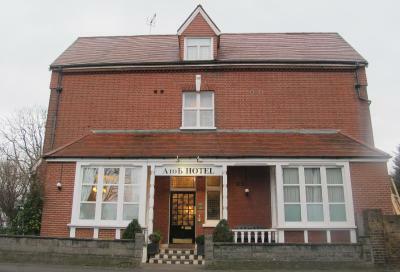 Situated in a great location, this budget hotel offered superb value for money. Our room was spacious, bright and lovely and warm. Great continental breakfast. Staff very welcoming and friendly. Breakfast is nice. You will get toast, cereal, orange juice, milk, tea or coffee. A lady at register is really nice and helpful. Room is decent. Night porter was very friendly and in spite of not being able to take payment, we were allowed to leave our bags in the room. Other guests were friendly too. 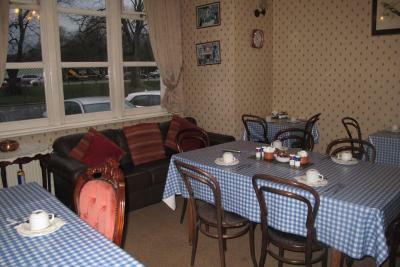 Good breakfast, clean functional room, free parking, great value for money, great location. One of our best sellers in London! 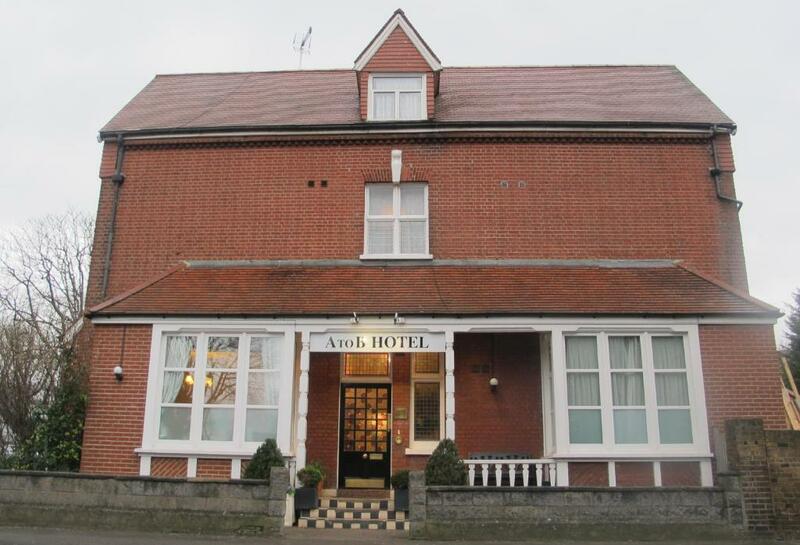 Overlooking Ealing Common on the west side of London and close to the center of the city, this family-run budget hotel offers B&B accommodations and free on-site parking. 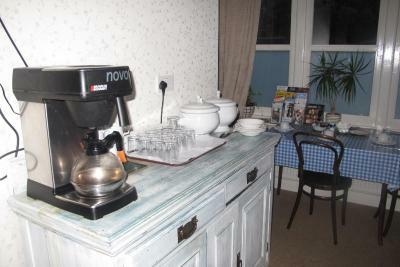 All rooms have tea and coffee-making facilities and a TV. 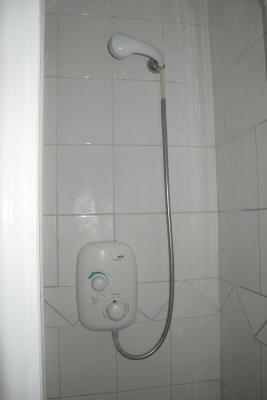 They all have washing facilities, and rooms with private bathrooms have either a bathtub or a shower. 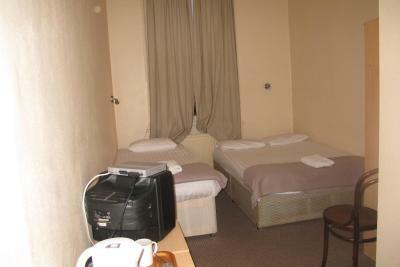 Wi-Fi is available in some rooms for an additional charge. 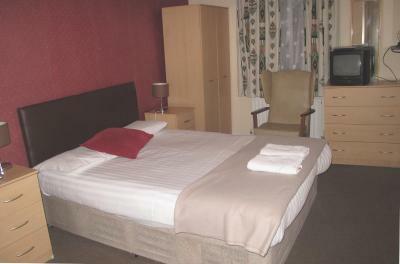 Just a short walk from public transportation to central London, the hotel is also a 20-minute drive from Heathrow Airport. Wembley Stadium can be reached in 10 minutes by car. 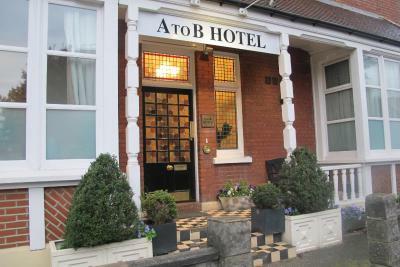 When would you like to stay at A to B Hotel? 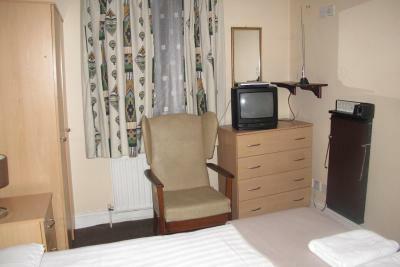 With a TV and facilities for making tea and coffee. 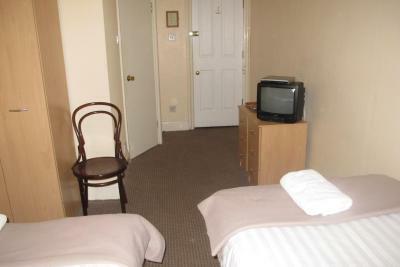 Room is located in the annex building, 1 minute walk from the main house. House Rules A to B Hotel takes special requests – add in the next step! A to B Hotel accepts these cards and reserves the right to temporarily hold an amount prior to arrival. Please note that on-street parking is free from 18:30 on Friday evening until 08:00 on Monday morning. The state of the rooms was just awful. There was hair on the linnen, what looked like bodily fluids on the wall and from our window we could see onto a little terrace out back and we spotted one tampon and a diaper. Everything was great, you've got it right. 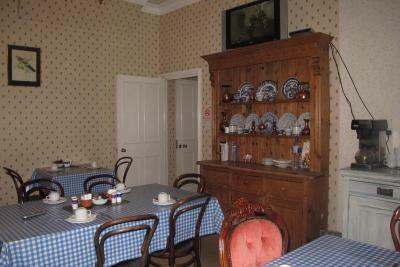 There was torn wallpaper and the floorboards were very creaky.. It was ok for somewhere to put your head down but that was it really. The breakfast was very basic, there only cereal, orange juice, milk, tea,coffee,toast, butter and other condiments to put onto toast. 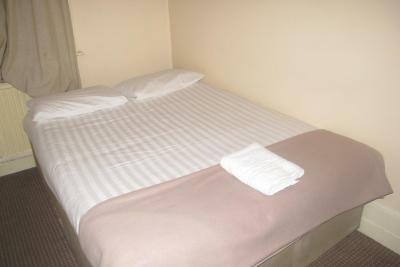 The sheets were clean and you got a couple of fresh towels every day. The shower wasn't piping hot, but was warm enough to use. A male front desk is quite grumpy. 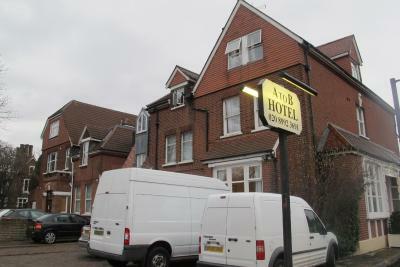 This ‘hotel’ is a health hazard and should come with a warning; it was absolutely disgusting. On arrival the hall had a pungent smell, we should have walked straight back out at that point. 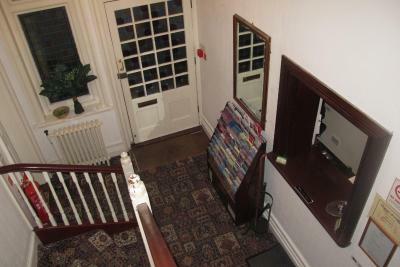 Prior to arrival the room had not been hoovered and looked like it had never been cleaned. There was a very thick layer of dust on all skirting boards. 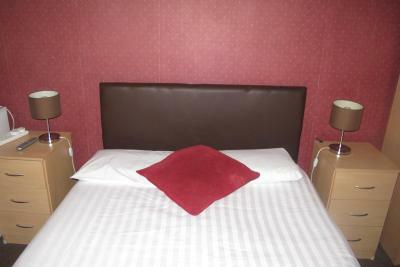 Due to there being no headboards, there were grease marks on the walls behind the beds from the heads of previous residents, where they had sat. There was no alternative seating provided. The bedding and towels provided were stained. 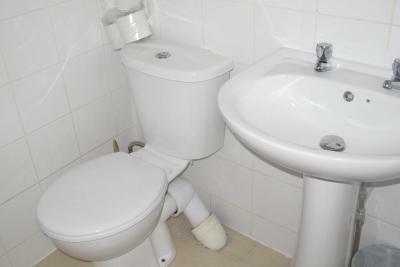 The toilet had not been cleaned or even flushed, so we had to deal with someone else’s ‘waste’. 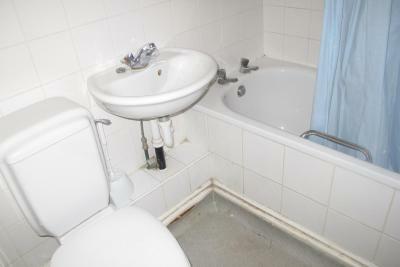 The bath had a visible layer of scum (easily removed had it been cleaned) no plug, broken tiles and a broken overflow waste that was a hazard. As a result (and had I stayed) I would not have been able to bathe my children. 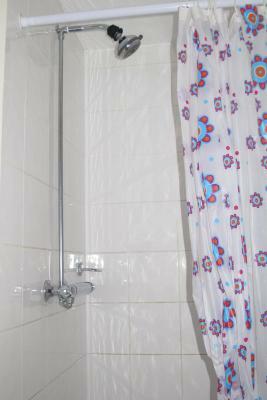 There were exposed wires close to the shower head - and the water was scolding hot, so had we wanted to shower rather than bathe, this was also not practicable. It was in no means a safe place to take a child. The door stop was broken leaving a rusty exposed spring, the carpet posed a trip hazard where it was ripped and it was filthy. The room did not lock as the door was broken. Breakfast was basic but adequate - cornflakes or toast. The postcode given does not take you to the correct address. Free Parking is the only positive, but I would sooner have paid for parking than have ever set foot in that place. I will add that I served 14 years in the British Army, and have stayed in some truly horrible places (worldwide), so writing a review like this is by no means me being fastidious or dramatic. Only issue is the 8am breakfast , the hotel brings in staff for breakfast preparation . 7am or at least 07.30 start would be amenable for other fellow guests , This is London not some sleepy countryside location. 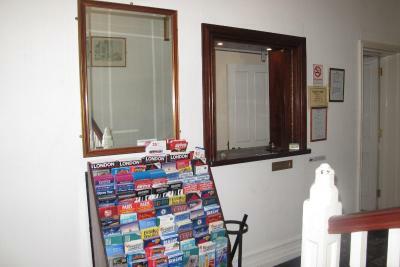 Card payment machine didn’t work when checking in and when checking out I was told payment had occurred without me being present. Staff at breakfast simply yelled from kitchen and only came into the dining area to drop things at the tables. Without speaking to other guests it would be impossible to know how the process works. Instead of bathroom facilities my room instead had a poorly flushing toilet, a scummy bath tub and ten bars of hand soap in little packets, all partially opened or destroyed. 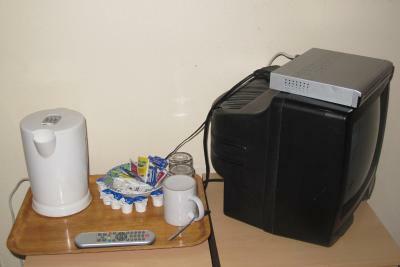 Of the four remotes in the room, none seemed to work with the tv, though it may have been the batteries were dead. 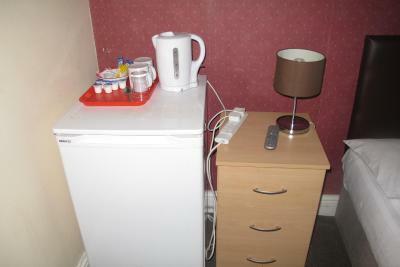 Why leave a kettle in the room, but no cups, coffee tea, sugar or UHT Milk containers. Most floorboards creaked when stepped on, those that didn’t creaked from a heavy look! Lights in the room - chinese torture!